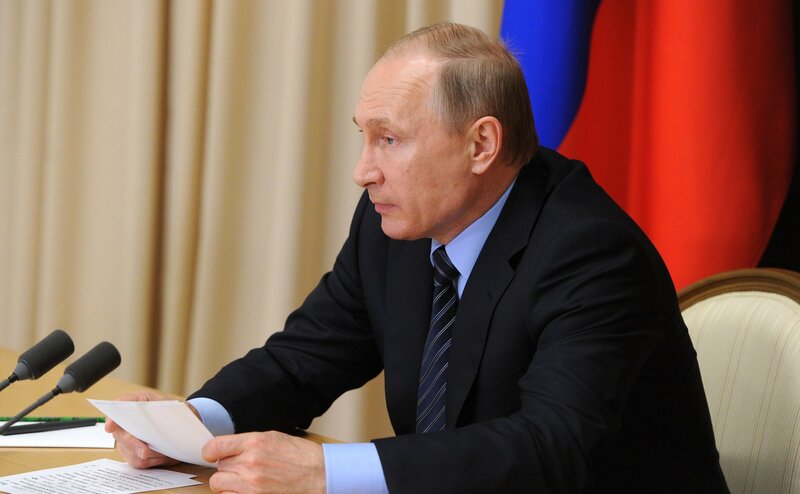 Putin: "Our goal is to effectively neutralize any military threats to Russia’s security, including those related to creation of strategic missile defense, to implementation of the concept of global strike and to information wars." Top defense officials discussed national security in Sochi. Russia will seek to maintain the world’s strategic balance of power and will work to neutralize the threats stemming from creation of missile defense systems and the concept of global strike, Russian President Vladimir Putin said at a meeting with defense officials on Friday. "Our goal is to effectively neutralize any military threats to Russia’s security, including those related to creation of strategic missile defense, to implementation of the concept of global strike and to information wars," said Putin, who, being the President of the country, is Russia's Supreme Commander-in-Chief. "We will continue to do everything possible to maintain a strategic balance of power," he said, noting as "extremely dangerous" the attempts to change and tip off this balance. "Let us remember that this balance of power, which was formed back in the late 1940s and in the 1950s, enabled the world to avoid major armed conflicts," said Putin. The presidential meeting brought together Defense Minister Sergei Shoigu, Chief of the Armed Forces’ General Staff Valery Gerasimov and other high-ranking defense officials, including Yuri Sych, the head of Defense Ministry’s 12th Main Directorate in charge of nuclear technical support. Sergei Kiriyenko, the Kremlin’s first deputy chief of staff, Sergei Ivanov, the presidential envoy for environmental protection and transport, and Oleg Shubin, Rosatom’s deputy director for the development of nuclear weapons were also present at the meeting.